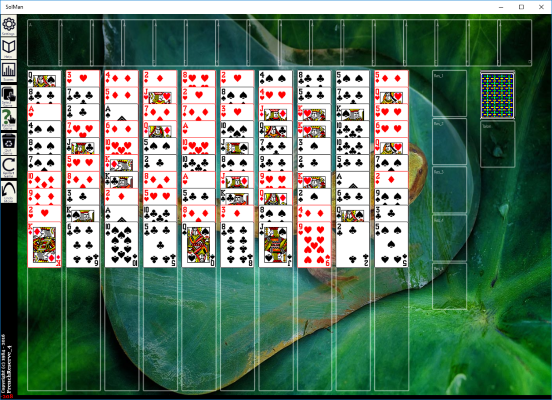 SolMan Solitare is a free app containing the free collection of Solitaire/Patience games by Tim Mangan. With 102 different games, there are surely games for every card buff. Whether you like the old classics, new classics, or something that you've never played before you will find it here. 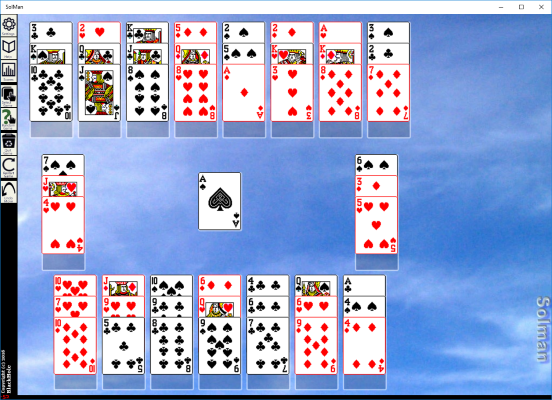 In addition to the classics, you will find many games unique to SolMan. The Arachnoids, for example, are a collection of games created to combine the strictness of Napoleon games with the randomness of a Spider. The result is one of the best game experiences for a seasoned player, but be warned. Novices that have not mastered the techniques to work out the classic games will have a very hard time at it. 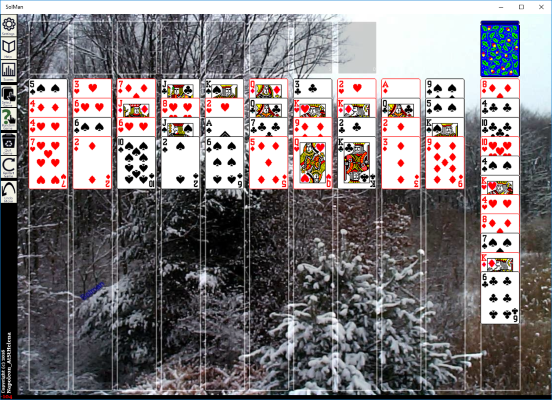 SolMan started as a computer Solitaire collection over 30 years ago. 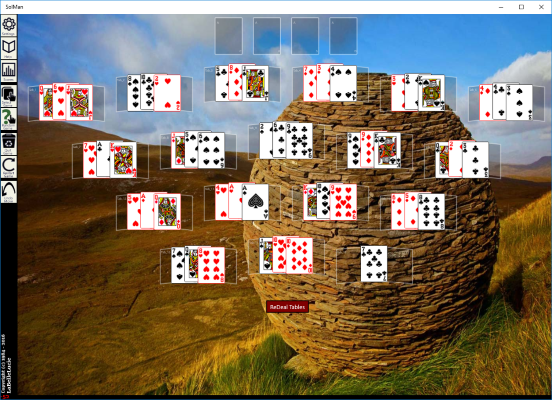 In this time, game designer Tim Mangan has evolved what Solitaire can be when freed from the limitations of having to manually shuffle and arrange cards. 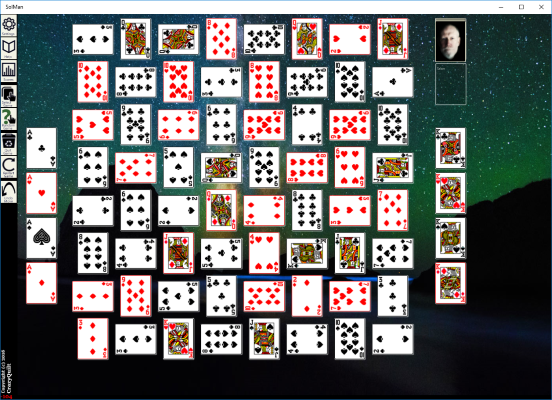 One interesting side-effect of computerizing games is that some games, like Crazy Quilt, that had previously seemed nearly impossible to win out prove out to be winnable a reasonable amount of time. 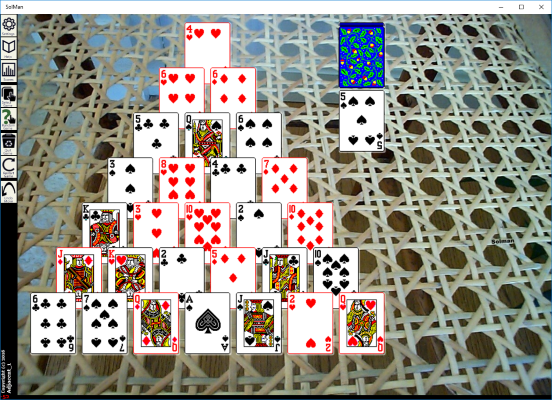 This had led to the development of games using more decks of cards, and in more patterns. Over time, Tim has learned how to tune games by modifying rules to change attributes like difficulty, risk, and planning. 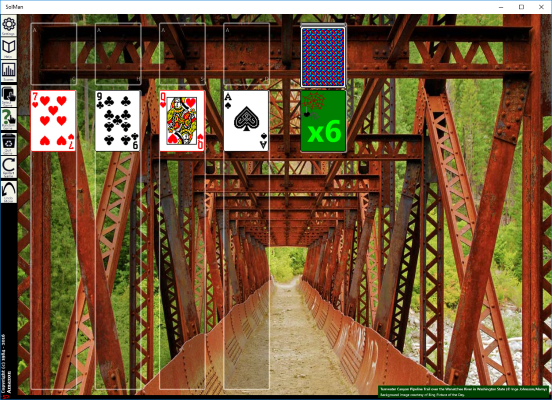 Version 5 of the SolMan Collection is avaiable now via this link for FREE from the Microsoft Store. 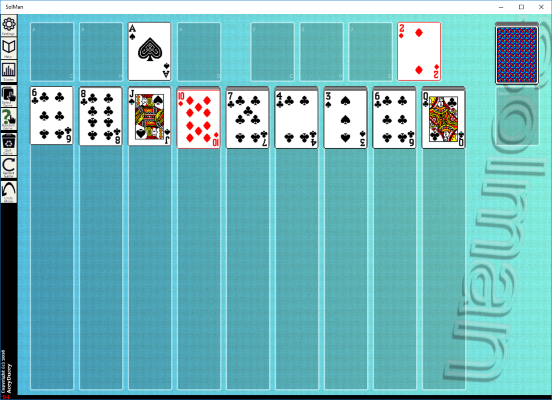 It requires Windows 10, but does not operate on phones due to the small screen size. 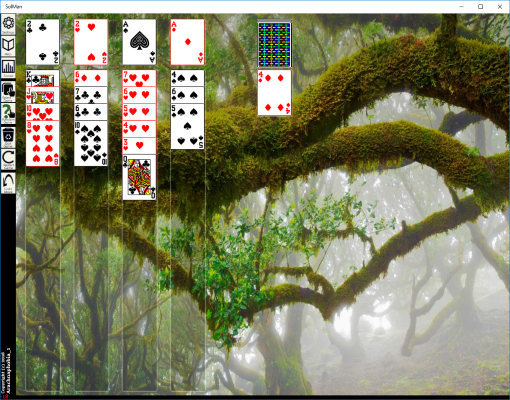 The games are very touch friendly, and the backgrounds rich and diverse. If you are connected to the internet, you can enable stunning backgrounds from Bing (the last 7 days of Bing home page images), but if not you can enable our own photography backgrounds. Hint, right click on the background image for information on what/where the photo is.